Wipro is acquiring Promax Applications Group (PAG), an Australia based analytics company, for 35 million Australian dollars (about Rs 191 crore). Wipro’s chief strategy officer Rishad Premji said it would be an all-cash deal and be closed by the end of this quarter. Wipro will acquire the entire shareholding of Promax. Promax, which focuses on trade promotion planning, management, and optimization solutions, has 71 employees and is expected to record revenue of about $15 million in its financial year ending June 30, 2012. 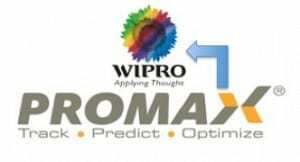 Promax will remain a separate entity but under the name Wipro Promax Analytics Solutions. It will be closely integrated with Wipro’s analytics division, which has about 8,000 people and had a revenue of $600 million in 2011-12. Premji said Wipro would look at more investments in the analytics space. He said the company’s acquisition strategy is focused on three areas: Entering or expanding in strategic domains (like the SAIC acquisition last year to expand in the oil & gas IT services business); strengthening presence in emerging areas including analytics, mobility and cloud; and geographic expansion, especially into France and Germany. Explaining the Promax acquisition, K R Sanjiv, global head of Wipro’s analytics and information management business, said consumer focused companies spend 12% to 25% of their gross annual sales on trade promotions. He said organizations are leveraging analytics to enhance effectiveness and maximize the return on investment of their spend on trade promotions. “Combining PAG’s deep industry expertise with Wipro’s proven experience in delivering end-to-end large business solutions to global clients will enable our clients to maximize the return on investment of trade promotion spends,” he said. Promax’s product currently is sold as a licence; Wipro will add its capabilities in implementation and system integration to provide the client a complete solution. Promax has 45 clients, many of them in the US and Europe, and spread across businesses like food & beverage, pharmaceutical, wine, beer and white goods. The new entity will seek to take the solution to other consumer facing industries.